The library has three iPADs and one iPAD mini available for in-house use. You can use them for word-processing and printing, reading magazines and newspapers, playing with fun apps including apps for children that promote early literacy. Covers syncing your iPAD with iTunes and iCloud. Remember iOS7 is the most recent version of the iPad internal operating software. Now you know about “syncing,” here are step by step instructions on sharing your email, contacts and calendars amongst your iPad, iPhone and computer. How to make this voice recognition software work for you! Just make sure your iPad has iOS 7.6. Some of the many storage options for keeping your data on the Cloud. 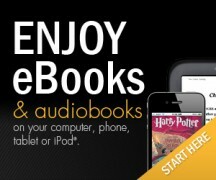 The Overdrive App lets you download e-books and audio-books to your iPad for free. All you need is your library card. Covers downloading Kindle books to your iPad with the Kindle App, also available for download from the App Store. Location Services allows location-based apps and webistes (including Maps, Camera, Safari and other Apple and third-party apps to use information from you iPAD or iPHONE. Very useful for any time you want to find something near by, find directions, or simply keep track of where any IPAD memories took place! Use the “Biblio” App to search our library catalog, order books, and renew items! The information on the music applications provided allows you to listen to music for free, and discover new music as well. Explore a few social media applications and how to get the most out of what they have to offer. The Library has four Kindles available for loan. They can be borrowed for two weeks at a time. The Kindles come loaded with a varied selection of current fiction, including upcoming book discussion titles. The Kindles are backlit for night-time reading and have touch screen capability.